After a race winning performance from the Jetstream Motorsport Aston Martin Racing V12 Vantage GT3 crew at the British GT Championship start to the SRO Speed weekend from Spa Francorchamps last weekend, three other AMR teams will be looking to replicate that performance this weekend when attention turns to the running of the Total 24Hrs of Spa. 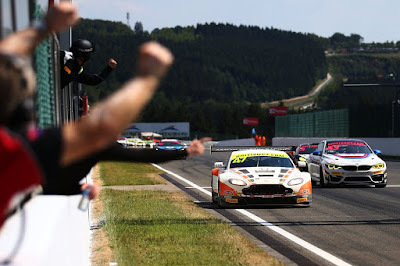 Sadly in an event not televised for its audience, the British GT race on Sunday was apparently a bit of an eventful one with the Mark Farmer/Nicki Thiim car expiring quite spectacularly on the way down to Eau Rouge in the very early stages and the Andrew Howard/Darren Turner car getting sidelined with front end damage even before the half way point. 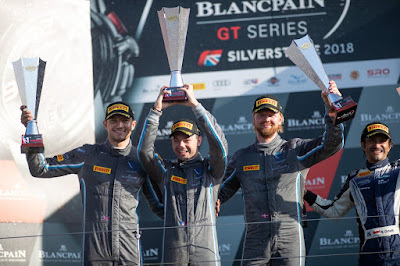 What was great to see was Championship newcomers Jetstream Motorsport break their season duck by claiming their first overall win for drivers Graham Davidson and Belgium Maxime Martin who will also compete at the Spa 24 along with his R-Motorsport team. 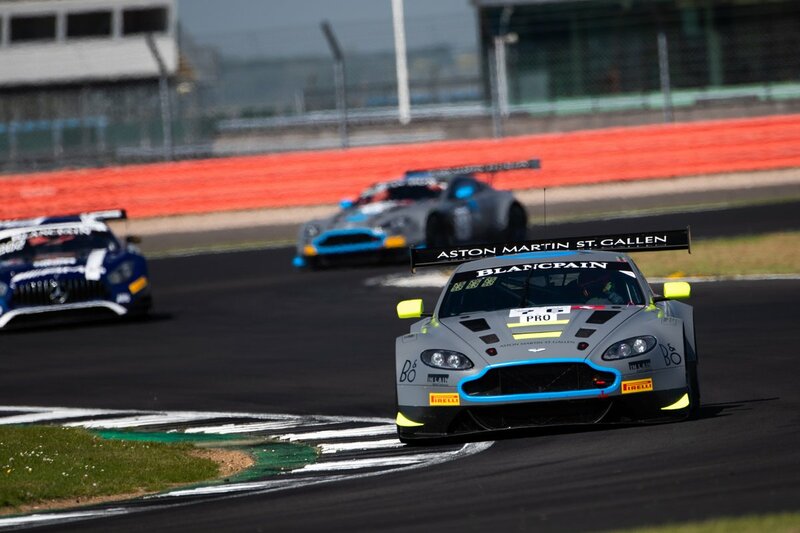 Indeed, this year we see four AMR V12 Vantages being entered amongst the sixty five car entry with one in each of the Pro-Am and Silver Cup classes from Brussels Racing and Oman Racing by TF Sport respectively and two (both R-Motorsport cars) in the top flight Pro class who will also be buoyant by the fact that the provisional race win at Silverstone last month month had now been confirmed. Silverstone winners Nicki Thiim, Jake Dennis and Mathieu Vaxivierre remain unchanged in their #76 car whilst its sister #62 now has Maxime Martin, Marvin Kirchhofer and Dominik Baumann aboard - the latter being at the expense of Alex Brundle who will now form a test role for the team. 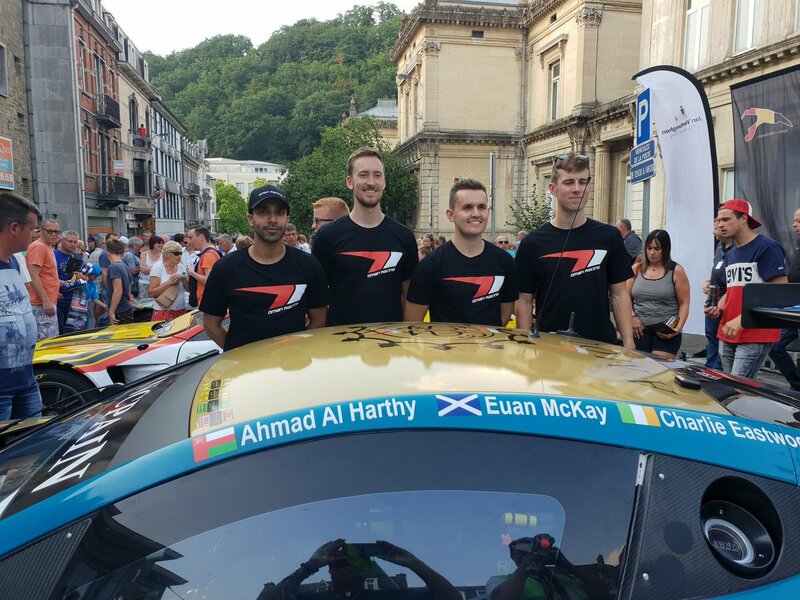 In Silver Cup is the #97 Oman Racing by TF Sport Vantage with season regulars Ahmad Al Harthy, Euan McKay and Charlie Eastwood being joined by AMR factory driver Ross Gunn for his first competitive race of the season! Being not short in talent or pace during the Blancpain GT Endurance season so far, the trio have been blighted with both misfortune and bad luck - sustaining result damaging injury to the car at too later a stage in the race for them to recover from. 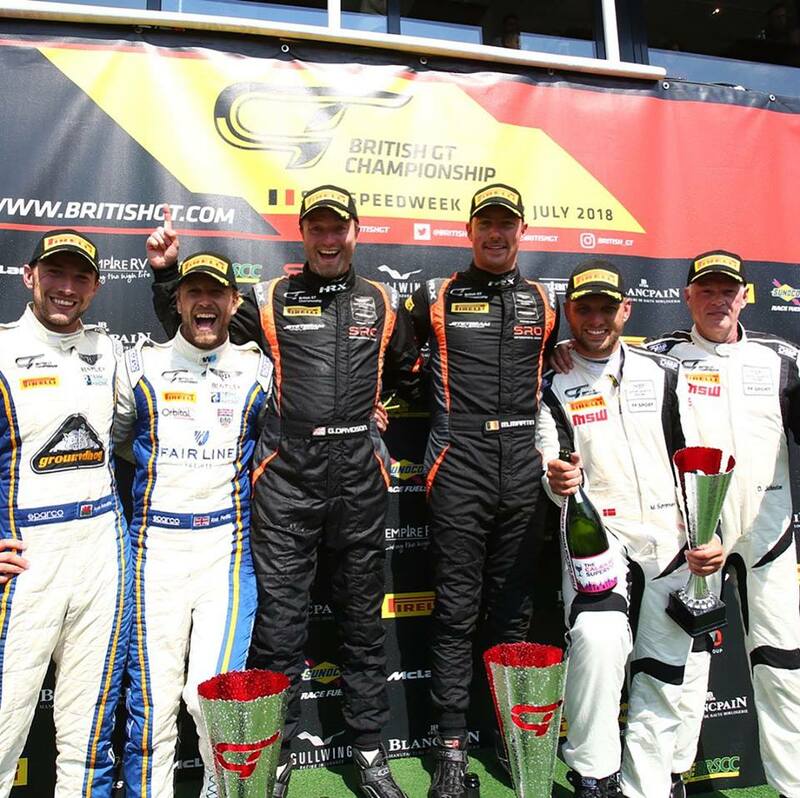 A good 'race winning performance' again here at Spa would go a long way in recovering their present mid table standing in class. 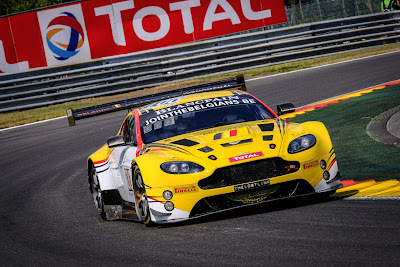 Finally but no means least, we see the re-emergence of the local Brussels racing team again with their Pro-Am entered Vantage with an all Belgium driver line up of Tim Verbergt, Koen Wauters, Sam Dejonghe and Nicolas Van Dierendonck. 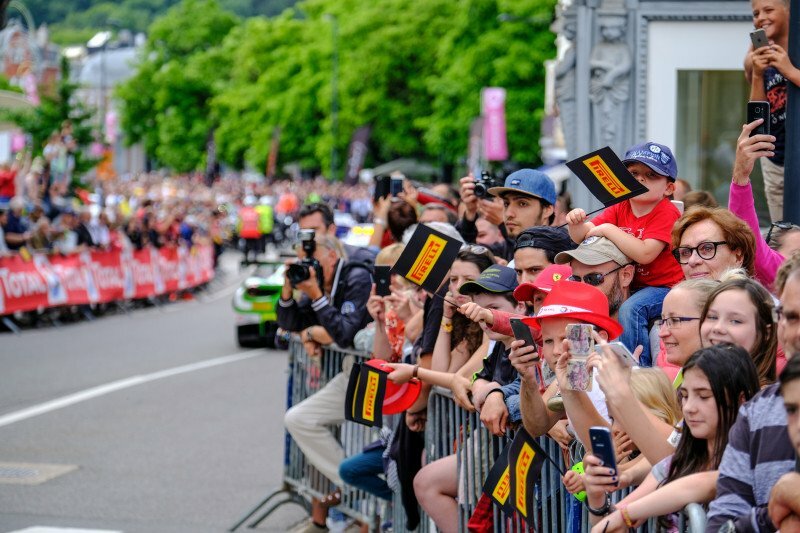 These guys have already seen some track action with the Bronze Driver test yesterday but today, all have been down for a leisurely drive down to Spa Francorchamps town for the annual drivers and car parade. Thursday will be a busy day for the teams with the first of the Free Practice sessions starting in the morning and running right through to the Qualifying sessions in the evening. A quite day on Friday for most but for the Super Pole qualifying shoot out for the top twenty runners starting at 18:30hrs local. 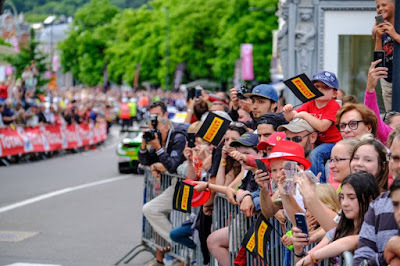 The start of the race itself is scheduled to begin at 16:30hrs (local) Saturday afternoon. We will also be keeping a discrete eye out for both Salih Yoluc and Euan Hankey as they also compete in the race with their Ram Racing Mercedes AMG entry ahead of the resumption of the World Endurance Championship at Silverstone in just three weeks time - valuable racing mileage for all concerned. Best not miss this one! !